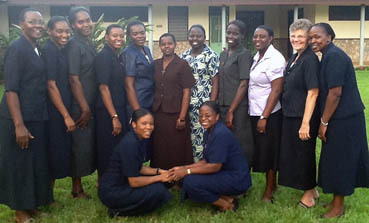 As novices, they will seek to deepen their relationship with Christ, which will be the heart of their religious life. Through solitude, prayer, study, life in community, and some ministry experience, they will get to know more fully the various aspects of SSND life, including the vows of poverty, celibacy and obedience. Visit our “Become a Sister” section for more information about the steps to becoming a School Sister of Notre Dame.